Following the widespread truckers’ strike in Iran, the bazaars’ merchants and shopkeepers in Tehran, along with dozens of other cities, went on strike. 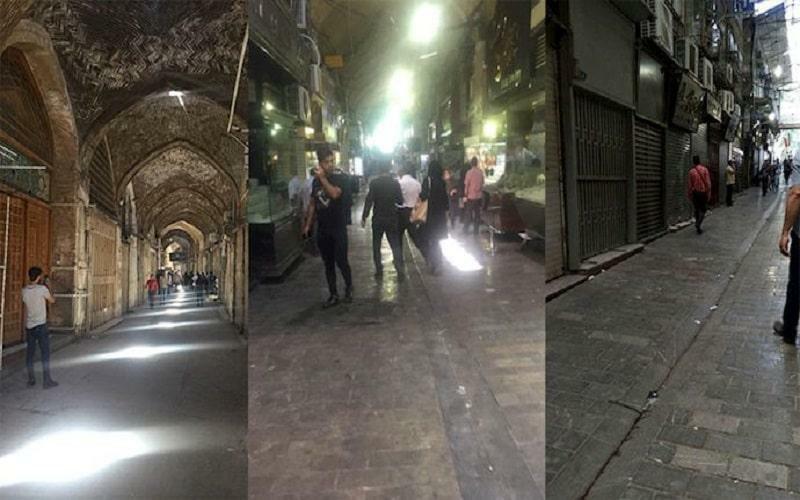 These strikes are taking place in several sections of Tehran’s bazaars and in more than 50 cities of Iran, including Mashhad, Tabriz, Isfahan, Shiraz, etc., in protest against the mullahs’ anti-popular policies which have led to widespread high prices and poverty as well as economic recession. A surge in the spirit of resistance which is mirrored in the continuation of protests and strike indicates the anger and dissatisfaction of the people towards the plundering ruling mullahs. It also shows the public desire to overthrow the present anti-national regime, and to replace it with a government, elected by the popular vote of the Iranian people to achieve freedom and social justice. We will certainly be witnessing more strikes involving more cities in coming days. Mrs. Maryam Rajavi commended the brave bazaar merchants and shopkeepers in Tehran and dozens of other Iranian cities who are on strike against the mullahs’ plundering regime. Mrs. Rajavi described the nationwide strike by bazaar merchants and truck drivers as a part of the people’s uprising with the goal of overthrowing the regime and establishing freedom and social justice. She said that under the mullahs’ regime, the wealth of Iran’s people, which should be spent on economic improvements and people’s prosperity, is wasted on suppression and export of terrorism and external wars and is stolen by the ruling mullahs.